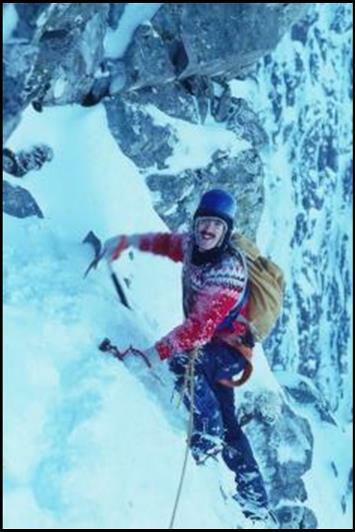 During the winters of 1980/81 and 1981/82, Todd guided for some companies in Scotland, including the Glencoe School of Winter Climbing, which at that time was run by Richard McHardy. In addition to guiding, Todd made on-sight solo ascents of Point Five Gully and the Orion Face Direct on Ben Nevis and Smith’s Route on Creag Meagaidh. He also climbed in the Cairngorms, Glencoe and on Skye. In Glen Nevis, he ferreted out a couple of small, new rock routes. In 2018, Donette & Todd spent six weeks visiting friends and climbing in Scotland. 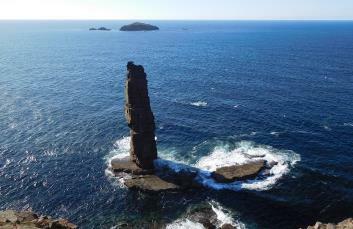 They climbed at about 20 different areas, including 11 new routes on sea cliffs on Skye and Mull. 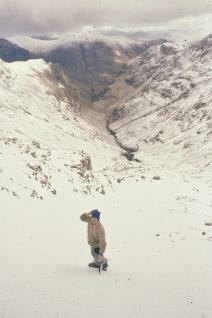 1) Snow route in the Lost Valley, Glencoe 1981. 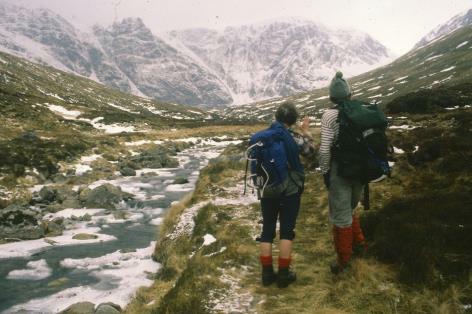 2) Scoping out routes on Creag Meagaidh with Richard McHardy 1981. 3) George Reid on Observatory Buttress 1982. 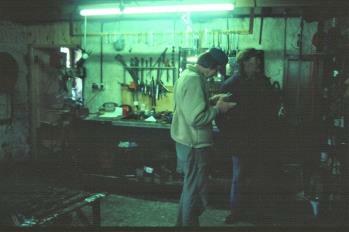 5) With Hamish McInnes in his workshop in Glencoe 1981.